Here we are at the end of January, and if you’re a person who’s adopted a new or revived workout habit you’re probably realizing that along with a new gym habit comes a need for some new laundry habits too. One way to manage a lot of stinky workout clothes to wash is to invest in a dedicated sport detergent. There are a lot of good options to choose from, and so I’ve rounded up five of the best that will fit all kinds of different needs. 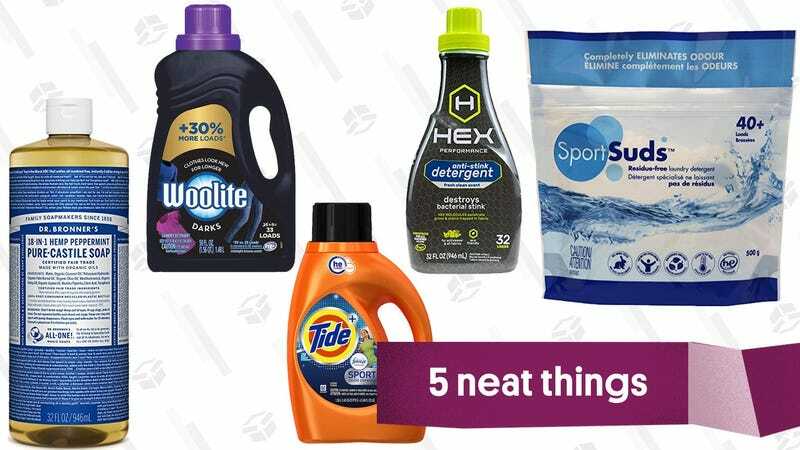 Here the jam with Tide: It’s pretty much the GOAT of laundry detergents. And that’s especially true when it comes to their detergent formulated for use on foul-smelling athletic gear. 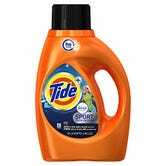 Tide Sport comes in both liquid and pod formulas, and it’s worth noting that the pods, while very convenient for people who launder off-premises and have to tote detergent around along with their laundry, offer less control in terms of the dose because it’s premeasured. The other benefit a liquid detergent offers over pods is that it can be used as a pretreatment, by dabbing a small amount on stains prior to putting the clothes in the wash. Sport Suds is a powder formula, which is great for someone who wants a sports detergent in their life but won’t need to use it super regularly, because powder detergents have a longer shelf life than do their liquid counterparts. 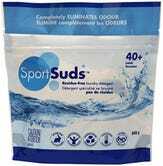 Sport Suds also has the benefit of being really great at eliminating odors. One other plus for people who travel on, say, a long bike ride and need to bring a detergent with them, is that powder is better for packing since it doesn’t pose as much of a spillage risk — and Sport Suds come in a zipper pouch which makes it even more convenient for packing purposes. HEX was designed specifically to remove odors from and prolong the lifespan of synthetic and blended fabrics, which is what most of our workout gear is. 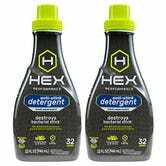 You do, however, want to note that Hex is super concentrated, which means that a little bit goes a long way. 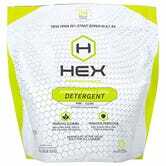 Hex also offers a Free+Clear formula, for those of you looking for a detergent that doesn’t have dyes and perfumes, either because of skin sensitivity or just because you don’t want to emit detergent smell while doing your paces on the elliptical. 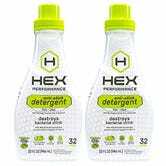 And if you prefer a pod-style detergent over liquid, Hex has got that too. While it’s not specifically a sports detergent, Dr. Bronner’s is an excellent choice for malodorous workout clothes. It’s just really good at odor removal— bear this in mind if you do a lot of vintage clothes shopping, because it’s also a great choice for getting that very specific scent out of all kinds of fabrics. Any one of the scents Dr. Bronner’s offers will do the trick (I use rose), as will the unscented formula. The Dr. Bronner’s website has a cheat sheet detailing the dilution ratios for different uses, but to save you a click the amount to use for laundry is ⅓-½ cup of soap for a large load in a normal washer or, if you have an HE washing machine, half of that amount. 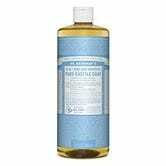 Dr. Bronner&apos;s Pure Castile Liquid Soap - Baby Unscented 32oz. Good old Woolite gets a bad rap, but it’s a good detergent and we should remember it for various needs. While the brand does offer a sports detergent (Woolite Active Wear), I actually want to bring your attention to Woolite Darks, because a lot of us have dark workout gear that needs to be frequently laundered, which puts it at more of a risk for fading over time. Woolite Darks helps to preserve the color of black and dark-colored clothes, especially if you’re diligent about washing in cold water and either air- or low-heat drying, since hot water and high-heat in the dryer will also contribute to fading.